﻿Need a speaker for your next event, training or conference? Let's talk. For nearly two decades, I have participated in SIDS conferences and trainings, including serving on parent panels to help public health and emergency personnel understand the SIDS experience from a family's perspective. This year, I had the unique opportunity to not only offer the parent perspective, along with my colleague Jeri Wilson, but I also created and presented the Grief and Bereavement component of this training. The San Jose event had over 100 people in attendance, with a similiar outcome expected in Moreno Valley. On February 3, 2016, The Enchanted Woman presented its all day Business Mastery Conference. The schedule was jam-packed with experts helping business owners and entrepreneurs "kick start" their business to the next level. As a health and wellness professional, I spoke on "Energy for Entrepreneurs." To read more about the topic, check out my blog post on self care! PWRG is an amazing group of women entrepreneurs dedicated to its mission of supporting its members. On January 22nd, I had the honor of presenting about my nutrition and counseling philosophy with details about the impact of stressors on our health, happiness and vitality. As a Certified Networker, I was happy to give the "networking tip" at the January Enchanted meeting in Pleasant Hill. I focused on "before, during and after" suggestions for successful 1:1 networking meetings. On December 1, 2015, I presented "Managing Your Holiday Stress" to an amazing group of female entrepreneurs at the Contra Costa County Club in Pleasant Hill, California. Through visibility, leadership development, and a team of experts, The Enchanted Woman™ spotlights women, empowers them to thrive through higher-values, and educates them for greater success. Understanding that at the heart of every venture is the entrepreneur herself The Enchanted Woman inspires women to find their voice, carve their character with unstoppable intention, make choices as though their legacy is legend, and to act with vision and volition, in the spirit of Triple Win™ collaboration and Enchantment. I spoke on on "Grief's Journey" at the pre-conference welcome reception of the 34th Annual California SIDS Conference. It's been more than 18 years since our first child, daughter Lauren, died of Sudden Infant Death Syndrome during an afternoon nap on her 3rd day of daycare. 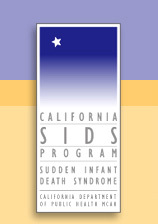 For many years, I've been active in the SIDS community, as a peer contact, support group facilitator, and appointed member of the State of California's SIDS Advisory Council. I'm honored to be able to share my journey and offer a message of hope after devastation. On Tuesday, October 27, 2015, I had the honor of speaking to the women of Enchanted Woman - Brentwood on my favorite topic, stress. With a healthy dose of humor and lots of cool information, I discussed why chronic stress depletes our health and well being. We talked stressors and the concept of "total load" and brainstormed strategies for managing stressors for improved health and happiness. Rain may fall into every life, but when you have a community behind you and a team supporting you, the path is a little brighter. With colleagues Yvonne Ceresa (financial advisor) and Martha Alexander Davis (estate planning attorney), we gathered friends and clients, fed them delicious (yet pretty darn clean) food, and talked about the issues facing women at times of transition, including divorce, aging and ill parents, and children leaving the nest. I was happy to talk last and add a few tips to "take a step back" from our lives of chronic stress and support our bodies and minds through nutrition, lifestyle and supplement strategies. I brought my SC 240 Body Composition Analyzer and offered a free analysis to anyone brave enough to give it a try! Best moment of the day was receiving a huge hug from a women in her 60's whose metabolic age registered 15 years younger, despite tremendous stress in her life. Along with colleagues Yvonne Ceresa (financial advisor) and Martha Alexander Davis (estate planning attorney), we presented to the Women's Council of Realtors (Contra Costa) on "Empowering You Through Life's Transitions." Yvonne and Martha focused on very important (and surprising) aspects of financial and estate planning and I spoke on the impact of stress during times of transition, providing tips and strategies for supporting ourselves with nutrition and lifestyle choices.